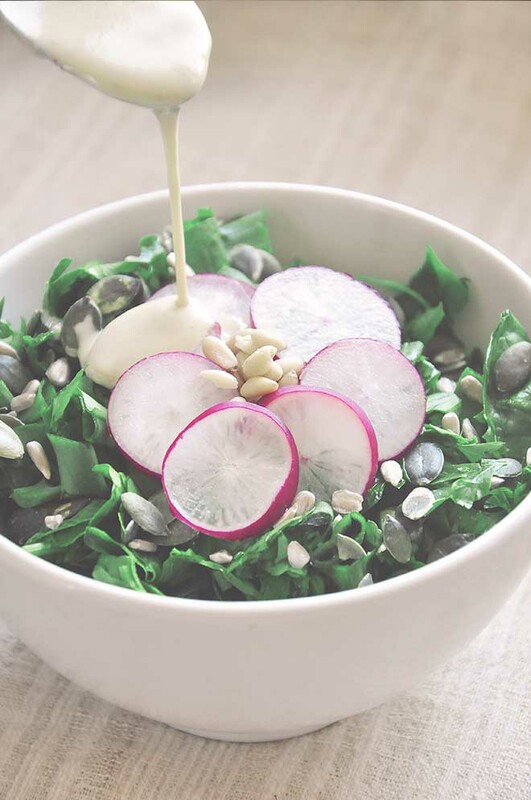 This spring spinach salad with tahini dressing is not only healthy but delicious too! The hemp oil-tahini dressing makes this spinach salad taste divine! Rinse well and chop the greens and veggies. Mix them together. Serve with seeds on top.